When Louise Taylor reaches within herself to express a song, the world seems to come to a halt. A passionate singer with a rich, sensuous and warm voice, she brings a spirited silence into the room in three seconds flat, captivating her audience with an undiluted rhythmic force. Louise is a fiery foot stomper who learned how to exert musical prowess as an unamplified street musician, riding her song on a strong beat and a tight groove. She dabbled in African polyrhythmic drumming and brought this influence into her accomplished guitar style. As she slips into a transfixed state, eyes closed, gently swaying as she sings, the audience is embraced by buoyant melodies--fresh and eminently listenable. As a songwriter confident in her artistry, Louise Taylor moves you in a deep way--with intensity and sweetness. Her music is inherently sincere, drawying on her multifaceted life experience for sustenance and inspiration. She juxtaposes simultaneous truths--power and vulnerability, hope and fear, danger and security, pain and comfort. Louise herself has done some hard living, and her songs mirror the elation and hardships of early independence. She picked up the guitar at age twelve and by the time she was sixteen left her home in Vermont and moved to Florida, a young musician and artist playing music for spare change on the boardwalks of Key West. For years she's traveled. She has experienced the deprivation and stranglehold of poverty; the toil of hard, menial work; the trials of being a responsible single mother. Through it all she's remained true to herself and her music, living, growing, and lovingly raising her son. It's easy to see why her music is more emotional than mindful, the expression of a mature artist more involved with what her songs say than what rewards they will bring her. 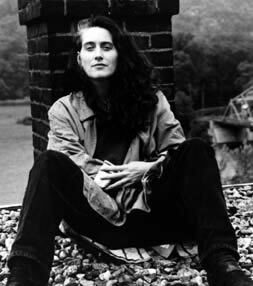 The remarkable album "Ruby Shoes," her critically acclaimed and highly successful 1995 release, has endeared Louise Taylor to national audiences and establishes her firmly as an artist in ascent. An aesthetic collection of even, honest, beautiful songs, sensuous singing and exquisite instrumentation, "Ruby Shoes" documents Louise's compelling authority as a singer/songwriter. Tastefully produced by Windham Hill Records founder and producer Will Ackerman, "Ruby Shoes" feature Catie Curtis as a guest vocalist, the renowned fretless bassist Michael Manring, pianist Phil Aaberg, and a host of other superb musicians whose eloquence and musicianship bring body and form to this fine record. The album has received enthusiastic national airplay with the songs "A Heart Never Lies," "Walk with Me," "The Angels Know His Name," and "Silver Locket" becoming listener favorites. Now mentioned on par with some of today's best singer/songrwriters, Louise continues to tour nationwide and is planning her third album.